This seems a little premature. Whether Bibi gets to stay in power is far from decided. Estimates by two Israeli broadcasters gave both sides 27 seats each in the 120-seat parliament, the Knesset. Both would need support from other parties to form a governing coalition. What happens next in Israel is going to be awfully interesting. Bibi promised that there would be no two state solution under his watch. This puts Israel at odds with most of the world. That's a simple recognition of reality. Animals don't have states. Languages with real IE grammar like Russian don't even allow anybody to talk about it. If people do not know Yoni was Bibis brother who died in the raid on Entebee. "Most of the world" shouldn't have torpedoed the peace process if they'd wanted it to go forward. Mr. Netanyahu has been a lot more patient than I'd be in his position. This thread is going to be fun if after the government is formed, Bibi is no longer prime minister. The question of who will be the next Prime Minister hasn't been answered yet. It may be that Bibi is Dewey to Herzog's Truman. From the news reports, the odds are overwhelming that Mr. Netanyahu will remain prime minister. He controls more seats than his opponents, and there are more minor parties who are willing to join with him in a coalition. That promise to do away with peace talks worked wonders. It seems that Israelis are more than sick of offering 1967 borders only to have the offer rejected and then have people falsely accuse Israel of not having made the offer. It seems that Israelis are more than sick of offering 1967 borders only to have the offer rejected and then have people falsely accuse Israel of not having made the offer. What planet are you on? When have the Israelis offered the 1967 borders? People would be very happy if Israel actually made this offer. The last Israeli leader who even suggested this got himself shot. Bibi needs the Kulanu party. That's going to be interesting. When have the Israelis offered the 1967 borders? Ehud Barak offered it back around 2000-2001. The Palestinians replied by massacring Israelis so severely that his government collapsed and the Left has not been back in power since. Arial Sharon didn't offer it, but he would have pulled back unilaterally, letting the Palestinians have about 90% of 1967 borders. This plan was scrapped when the pullout from Gaza demonstrated that such a pullout would not lead to the hoped-for peace. Ehud Olmert offered it. I forget the date but maybe sometime around 2007? The Palestinians stonewalled (which I guess is an improvement over them murdering children), and eventually Mr. Netanyahu was elected. When Mr. Netanyahu took office, the Palestinians started trying to justify their stonewalling by saying they would only come and negotiate if Israel stopped settlement construction first. As a favor to Mr. Obama, Mr. Netanyahu halted settlement construction for 10 months. It is likely that, had the Palestinians come and negotiated, Mr. Netanyahu would also have offered them 1967 borders at this time. Sadly though, the Palestinians still refused to come and negotiate despite the halt to settlement construction. Just recently, Secretary of State Kerry managed to get the peace talks restarted. That itself was a miracle, because the Palestinians and Europeans had just abrogated the Oslo Accords and destroyed the entire framework of the peace process. And somehow he also managed to get the Palestinians to show up at the negotiating table. All indications are that Mr. Netanyahu offered the Palestinians 1967 borders when he was at the negotiating table. Sadly though, the Palestinians responded to the offer by sending their demented supporters out to spout horrendous lies about Israel, and they once again refused to accept 1967 borders. People would be very happy if Israel actually made this offer. Well then they are in luck. 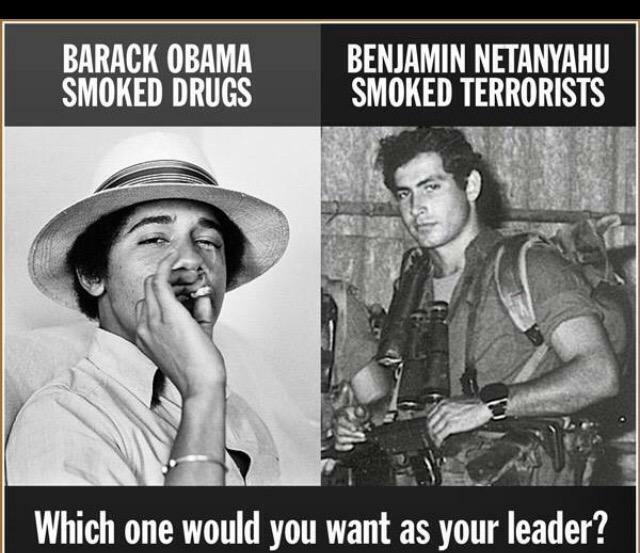 If they open their history books they can see a long series of Israeli leaders making that very offer in past years. That is incorrect. There have been three who made the offer since then. Four if you also count Ariel Sharon's plan to unilaterally pull back to about 90% of 1967 borders. The last negotiations that both sides had been working on, the Taba Summit, were torpedoed by a change in Israel's government to a right-wing ministry, Ariel Sharon's, that refused to continue the negotiations and was backed by the US' newly appointed, right-wing administration, George W. Bush's, and incited Palestinian violence through provocative actions.